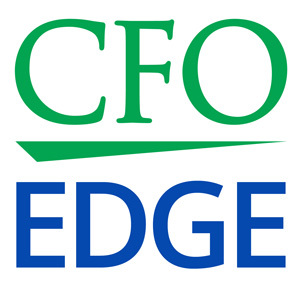 When specific expertise or more bandwidth is needed, a project CFO is a high-value solution. A project CFO is a valuable resource when authoritative financial expertise is needed to complete a single, high-priority project and realize target outcome value. Growing businesses rely on their CPA firms and internal accounting staffs, but when the requirements of a challenge exceed available expertise or bandwidth, incurred costs of the challenge continue to accrue, and time-sensitive opportunities fade. With experience gained as enterprise CFOs and as CFO services partners – and acting in the role of a project CFO – we bring exceptional talents to finding root causes of challenges, evaluating options with you, and teaming to implement high-value solutions. Executives frequently face challenges that require financial expertise that exceeds internal capabilities or bandwidth. These situations are efficiently addressed and resolved by a project CFO. In addition to delivering high-caliber financial leadership, all our partners apply authoritative financial expertise with a laser-like focus on a single, pressing financial challenge that is standing in the way of performance or value gains. We also address a project that is comprised of sub-projects. For example, completing a funding request may require a cash flow analysis, restatements or an updated forecast to build an accurate financial model. Working with a project CFO pays dividends both now – there will be no delays in resolving front-burner challenges – and in the future – with positive results achieved by completion. A project CFO’s level of expertise means there will be no need for significant supervision, and you and your team will be able to focus on your roles operating your business. A financing request cannot be made until there is a forecast for comparing actual results. Some products warrant price increases, but there is no analysis to support it or “what if?” scenarios. Industry peers report six- or seven-digit annual cost savings, and you want an expert review of your COGS, operating expenses, and margins. A new operating model could move the company from selling commodity-based offerings to selling specialized, premium-priced offerings. An independent audit must be done to complete a sale or merger, and time is running short. A retiring partner’s buy-out is delayed because the best way to finance it is not known. A new order could triple company size, but there are no hard numbers on how to price it or the affordability of capital to fund it. You are a seated CFO and know the quickest path to completion of project is to hire a project CFO to supplement your work. Visit our Solutions Grid to see over 60 areas in which we deliver project CFO solutions.